Winsor Homes is owned and operated by the Winsor family, and we have been in business since 1973. We are a complete contracting company providing our customers with an efficient, cost effective way to build a high quality constructed home. We have built hundreds of modular homes throughout the state of New Hampshire which makes us experienced in all aspects of modular construction and design. Being a family business, the owners are your sales people; meaning there is no high pressure sales or sales commission, resulting in service and attention to detail. As a general contracting company, we can help guide future homeowners through all aspects of the building process from lot set up to move-in. In fact, for 90% of the homes we sell, we contract the complete site work, foundation, well and all general contracting needs making your home purchase worry free. At Winsor Homes you will not become a volume number. This is a major investment and personal service is needed. 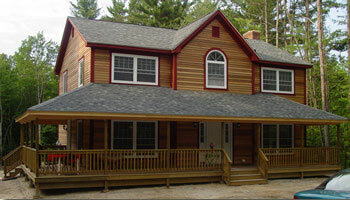 For all of our years in business and experience, we consider ourselves “The Leader in Modular Homes”. We feel based on the quality of our homes and our service, a Winsor Home is the only home to build.